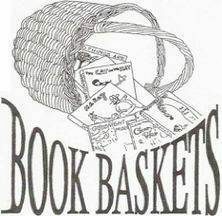 Book Baskets is a 501(c)(3) non-profit organization committed to making gifts of new and lightly used books to children in the Charlottesville and Albemarle County area who do not have books of their own. We believe that an important way to promote a love of books and to encourage reading is to see that all children have at least a few books that belong to them. We also hope to “even the playing field” between area children academically by making sure each child has books of his/her own at home. In order to fulfill our goal of giving books to children in need, Book Baskets targets groups of children where 70% or more of the family members qualify for free or reduced lunches. We support organizations with non-sectarian educational and cultural development goals. Book Baskets currently distributes books through over 30 local social service agencies and education programs. Over the past several years, we have consistently donated close to 20,000 books per year to children in our community. We are always interested in expanding our program to new local organizations; if you are or know of an interested recipient, please contact us.